Skating at this level requires an enormous commitment from the athletes, the coaches and the whole family. It also takes resources, especially as we prepare for the U.S. National Championships, with all the training costs, costumes, ice fees and travel that is required. If it takes a village to raise a child, it takes an entire metropolitan area to support a competitive skating team. To help defray these expenses and provide a tax-deductible way for friends and supporters to help make Rachel & Michael’s Olympic dreams a reality, we have joined with the New England Amateur Skating Foundation to set up a Team Sponsorship program through the Foundation. Download our Sponsorship Form today and give as generously as you can. Contributions are deductible as charitable contributions, and must be mailed by check to the Foundation, using the tear-off form provided in the flyer. Checks should be made out to NEASF. More details are provided on the form. Anything you can do is much appreciated. Please note: If you wish to make a tax-deductible gift, you must download our NEASF Sponsorship Form and pay by check. If you wish to pay on-line by credit card, you may use either the Paypal link provided above, or the new GoFundMe page below (but either way your credit card donations will not be tax-deductible). Rachel and Michael now have a GoFundMe.com page (click the GoFundMe.com link at the left). From their GoFundMe page: Most of us will never know what it feels like to compete for Team USA at the Winter Olympics… but we can know what it feels like to help some deserving young Americans get their chance. Think how great it would feel to help an extremely talented Junior ice dance team, from a family of modest means, rise to the top of this beautiful but incredibly competitive and expensive sport. Now’s your chance! 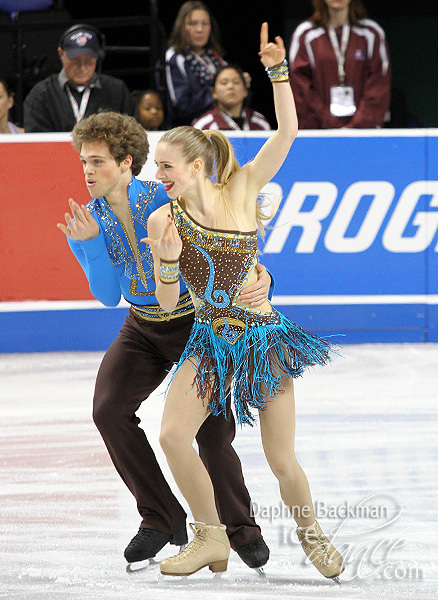 Rachel & Michael Parsons are the current U.S. Silver Medalists in Junior Ice Dance and they’ve just won three straight Gold medals for Team USA in their last three international competitions. They have the skills, the drive, and the opportunity to make it all the way to the Olympics, but they need some financial help right now to make it to the 2016 World Junior Championships in Hungary and stay on track to reach their dreams. Thank you to ALL of our Sponsors: Thank you for your generous support for Rachel and Michael this year. They truly couldn’t have come this far without you. If you are not already a sponsor, please consider making a tax-deductible contribution today. Corporate advertising and visibility packages are available.